4 years ago I found myself pregnant with my 3rd child, unfortunately I miscarried at 6 weeks. I thought nothing of it, these things happen. We carried on trying and nearly a year later still nothing. I started to wonder why. I went to the doctor and explained, she referred me to a fertility consultant who took bloods and said I wasn’t ovulating. I was put on 6 months of Clomid, but nothing. I was then offered a laporoscopy. It was found that my uterus had attached itself to my abdominal wall and my tubes had scar tissue with minimal spillage due to a previous c-section. I was told I would never conceive naturally again. I was devastated! I went to a private fertility clinic and was told I was ovulating, but my TSH was high and they put me on Levthyroxine. I then went through IVF, out of 8 eggs only 1 was any good. Unfortunately it resulted in a miscarriage at 6 weeks again. At my lowest, I stumbled on your website. Following and taking some of the natural remedies and 3 months later I had my positive and I’m now 24 weeks pregnant. I used Self Fertility Massage along with Castor Oil Packs. I did the smoothie challenge [10 Day Fertility Smoothie Challenge], ate fruit and greens along with Maca powder. I changed the way I ate and stopped drinking alcohol. I also took Wobenzym N to help heal my scar tissue, along with yoga and mild exercise. Wobezym N for 3 months and 3 months into my pregnancy. All the others were 3 months too. I felt more energetic and my periods changed and became more normal. Never ever give up. Natural therapies worked for me and I would recommend it to anyone. Don’t frown on using natural ways as it worked for me and it really felt like it healed my body. I am so sorry for what you’ve been through. 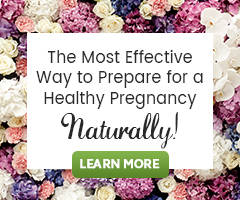 Please contact Natural Fertility Shop Customer Care via this link: https://www.naturalfertilityshop.com/Articles.asp?ID=83 for ordering support.